Westbury Manor Museum is located at 84 West Street in Fareham and features a variety of exhibits on local history, such as the use of Fareham red bricks in the construction of the Royal Albert Hall. It also has a café and shop. 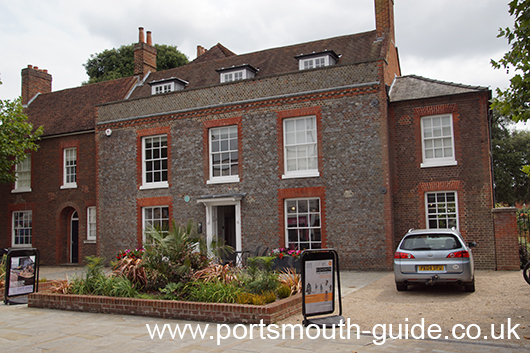 The museum is housed in an 18th-century Grade II listed building with formal Victorian style gardens to the rear, formerly used as the offices of Fareham Urban District from 1934 to 1976. Westbury Manor Museum opened in 1990 and in 2014 ownership of the museum was transferred to the Hampshire Cultural Trust. Westbury Manor was formerly home to six admirals of the fleet, and has displays allowing you to explore the borough’s origins as a Stone Age settlement, discover the infamous workhouse scandal of 1837, its long traditions of brickmaking and strawberry production and much more. The building has a 17th century core, classical Georgian façade and elegant Victorian rear, Grade II listed Westbury Manor is one of Fareham’s finest and most distinctive buildings. From farmhouse to council offices and even air-raid shelter, Westbury has undergone a number of transformations and was converted to its current day use as a local museum in 1990.